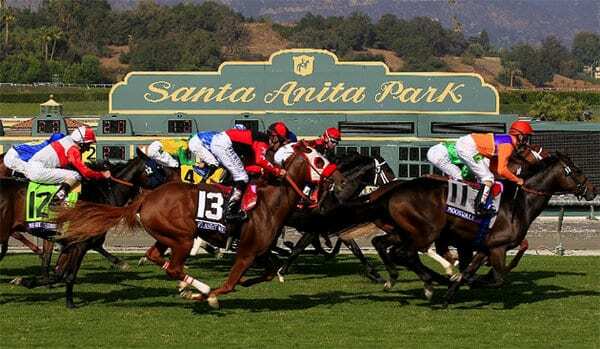 “In the great horse racing tradition of the Kentucky Derby’s ‘My Old Kentucky Home,’ and the Preakness’ ‘Oh, Maryland,’ we wanted to have a song that spoke to our story,” said Mark Verge, CEO of Santa Anita Park. The Park tapped award-winning songwriter Jimmy Dunne, with hit songs on 28 million records and rooms full of gold and platinum records spanning the globe. “My California” debuted in front of an expected 25,000 Californians – and was performed twice. 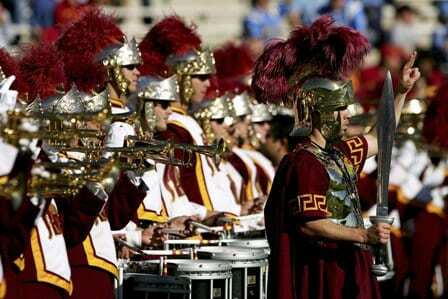 First, by hit-singer Ferras (on EMI Records), followed by the 100-member “USC Marching Band.” Fans “followed the bouncing ball” and sang-along with the USC Marching Band. The USC Marching Band was directed by Dr. Arthur Bartner; and the USC Marching Band’s arrangement was created by USC’s Tony Fox.